The grade guidance system provides operators with information on the bucket’s location with respect to a 2D reference or 3D design surface and is ideal for digging trenches for pipe, shaping ditches or slopes, or digging structure foundations, according to the manufacturer. John Deere added grade guidance technology to the 210G LC excavator and made numerous other customer-inspired updates to improve productivity, uptime and lower daily operating costs on the 13 to 47 ton models. 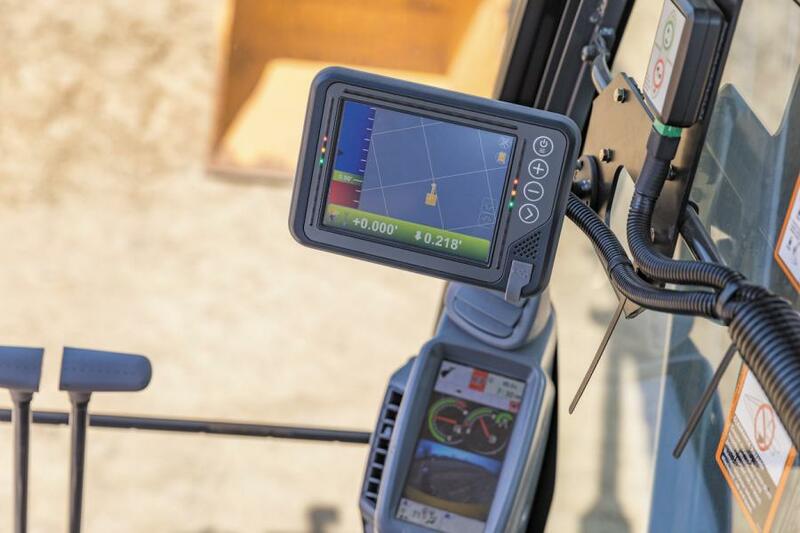 The grade guidance system provides operators with information on the bucket's location with respect to a 2D reference or 3D design surface and is ideal for digging trenches for pipe, shaping ditches or slopes, or digging structure foundations, according to the manufacturer. The system was developed in cooperation with Topcon. The integrated grade guidance displays the elevation and position of the bucket cutting edge with respect to a target plane (2D) or design surface (3D). Factory integration and calibration ensure the machine arrives on the jobsite ready to work, and puts grade guidance at the customer's fingertips. JDLink integration provides information on system utilization and allows rapid diagnosis of problems. The grade guidance system will be available on the 350G LC and 470G LC excavator models in the next year. John Deere Powerwise Plus technology, which provides on demand performance and improved fuel economy. Fleet managers looking to get the most out of their John Deere excavators can rely on their John Deere dealers to provide Ultimate Uptime, featuring John Deere WorkSight. With Ultimate Uptime, owners receive predelivery and follow-up inspections that include five years of JDLink telematics, machine health prognostics, remote diagnostics, programming capabilities and the ability to add dealer-provided uptime solutions to a customized package.